16 minutes of footage, including Luna Nova exploration. Bandai Namco announced new new information, and debuted a new teaser trailer and 16 minutes of gameplay of Little Witch Academia: Chamber of Time during a live stream today. 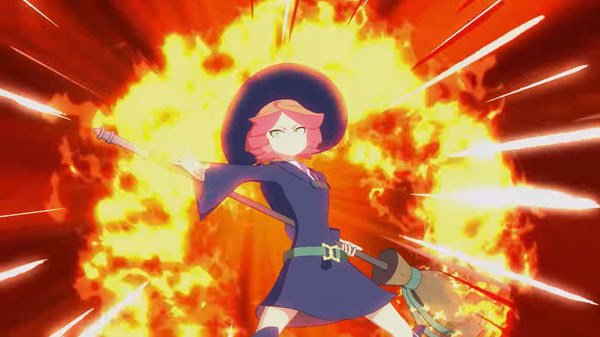 In addition to previously announced playable characters Akko Kagari, Lotte Yanson, and Sucy Manbavaran, Bandai Namco announced that Amanda O’Neill (voiced by Arisa Shida), Constanze Albrechtsberger (voiced by Rie Murakawa), and Jasminka Antonenko (voiced by Reina Ueda) are also playable. The game’s official theme song was revealed to be “Toki no Mirage” by Yuiko Ohara, who sings the ending theme song “Hoshi wo Tadoreba” for the TV anime. The box art illustration was also revealed. It is illustrated by Shuhei Handa, painted by Yukiko Kakita, and features background by Bihou. 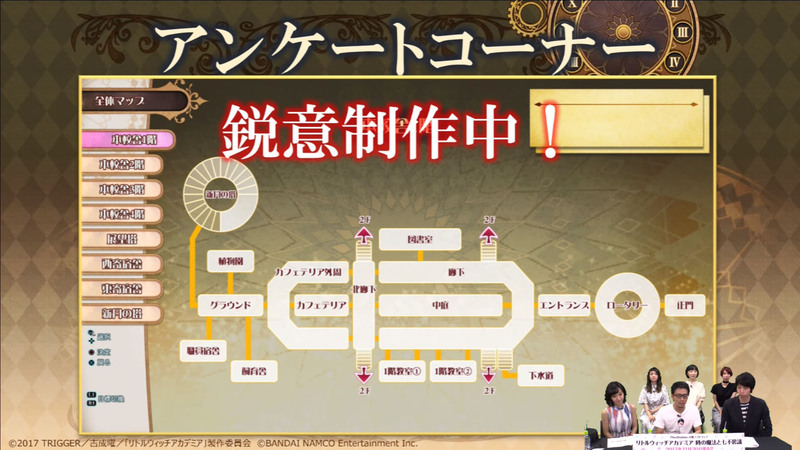 During a Q&A session at the end of the live stream, producer Yosuke Futami confirmed that players will be able to explore “almost all” of Luna Nova Magical Academy, and that “almost every” student of the school will appear in the game, which includes over 40 characters that appeared in the anime. 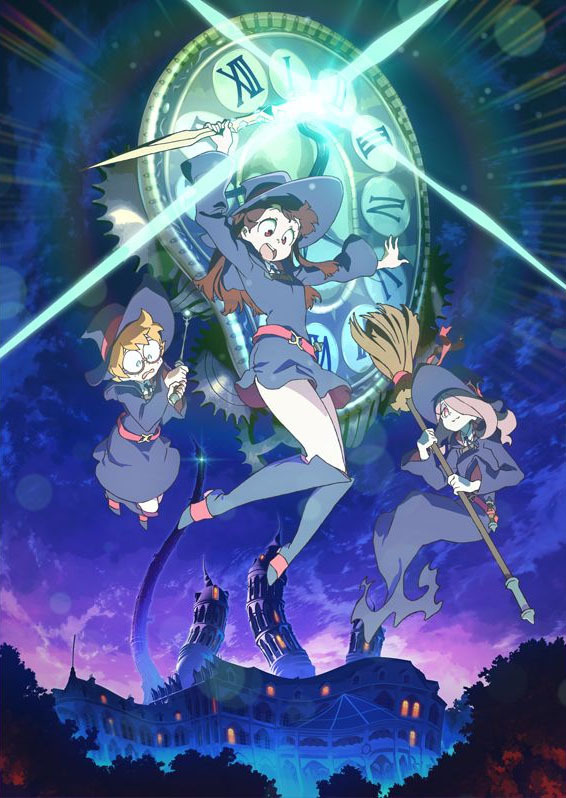 Finally, Bandai Namco confirmed that it will host a new “Little Witch Academia Anime and Game” broadcast such as today’s every month leading up to the game’s release in Japan. The next broadcast is set for August 20.